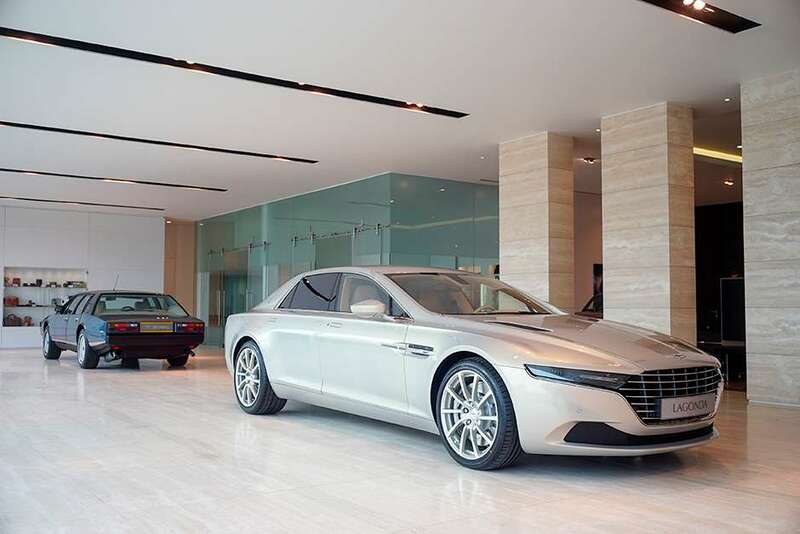 The Lagonda Taraf, Aston Martin’s uber-limited, super-luxury, limousine, made its long awaited British debut at the brand’s Bonhams auction this weekend. The Taraf was, if you recall, originally intended for only the Middle East market, but demand has been strong, feet have been stamped and opportunities identified, and most markets outside the USA can now buy one of the 200, including the UK. You need to see the Taraf in person to really gain an appreciation of its presence; mere photos won’t prepare you for it. The latter cannot do justice to the sheer scale of the thing, that initially left me speechless: at 5.4-metres in length it’s not far short of a Rolls Royce Ghost, but the low-ish roofline and long, clean flanks suggest a much leaner, more sporting device. 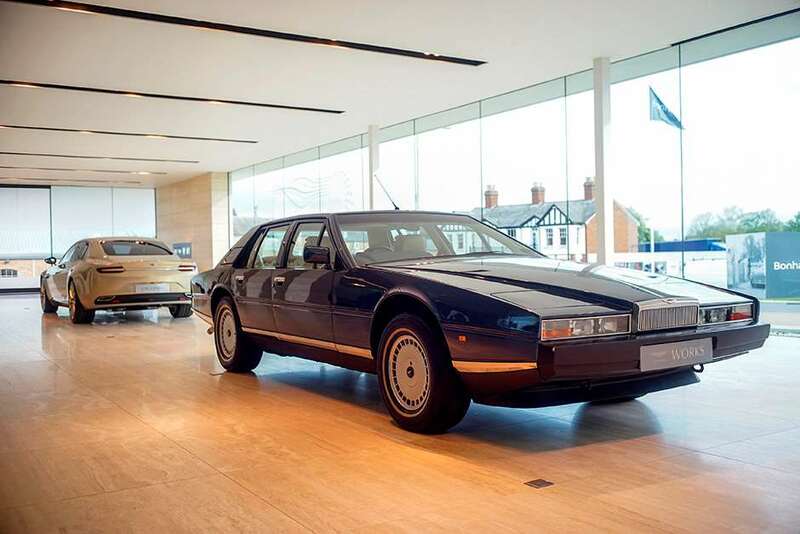 The sharply cut lines – the body is carbon fibre, remember – and rakish proportions clearly connect with the eccentric Lagonda Saloon of 1976. For all its size, dare I say that, to my eyes, it doesn’t appear vulgar: without the bombastic performance accoutrements and bling of a typical high-end, super-saloon/limo/SUV, the Taraf is refreshingly underplayed. It doesn’t scream ‘get out of my way’, just persuasively requests it. From the nose to the front seats the Taraf is an Aston Martin Rapide, so the cockpit is a pleasant, albeit familiar, place to sit. Into the rear compartment, it’s obvious that the Rapide’s ethos remains, but space has increased. The transmission tunnel encroaches into the footwell, but doesn’t impinge legroom, which is more than adequate. At 6′ 3” in height, I have just enough headroom even if canting my head too far to the side leads it to brush the roof rail. So it’s snug, but comfortable – just a totally different environment to something like an S-Class. Edward Legge - Where Are All The Classic Car Bargains?